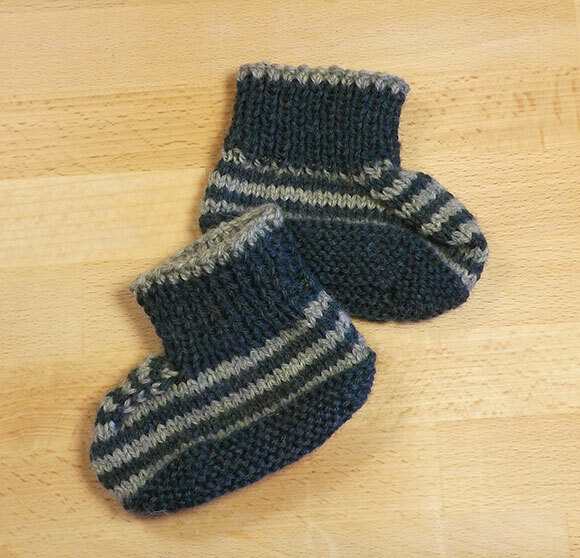 The baby projects continue with some knitted items. 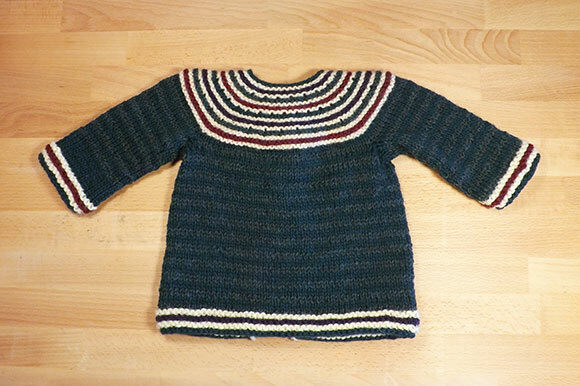 I've made this sweater pattern, Gidday Baby before as presents for new babies, but this one will be for my baby. 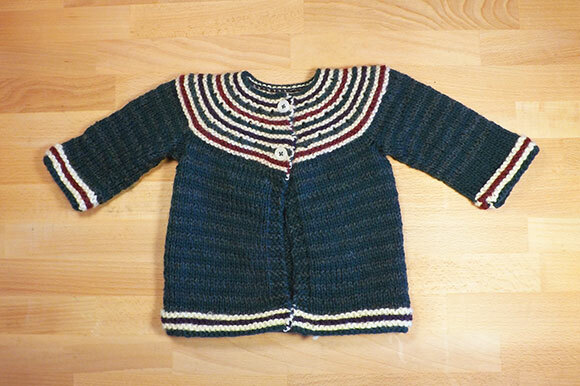 The nice thing about baby items is that they can use up some scrap yarn. I was able to use up several different jewel toned yarns that I had in my stash. I had two similarly colored peacock blue yarns that I alternated to make up the body because I didn't have enough of either to complete the sweater. I also tried a new pattern from The Ultimate Book of Baby Knits by Debbie Bliss for baby booties. I made the booties on a separate occasion than the sweater. They both have the peacock blue yarn, but the booties have gray as the contrast color, so they don't quite match. 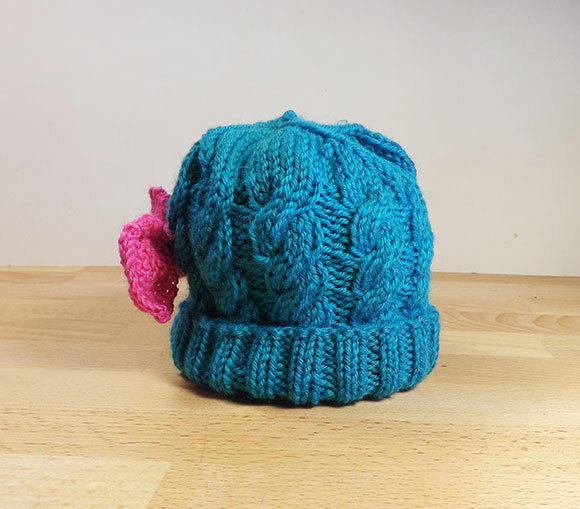 In a completely different color scheme, I made up the pattern for this cabled baby hat. This hat is smaller than the rest of the knits, hopefully it will fit newborn to 2 months or so, it does have some stretch. 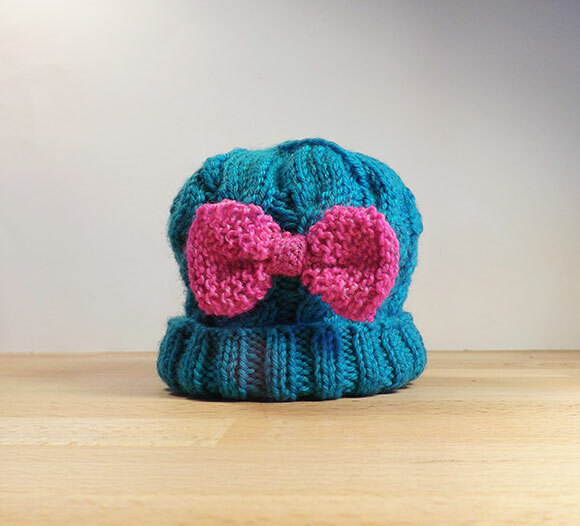 I had a bright pink yarn that matched the intensity of the blue yarn so I added a bow for fun.